Go Back to the Homepage / Why Choose Us? 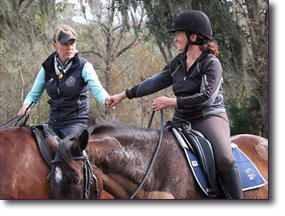 Parelli Instructors (officially known as Parelli Professionals) are talented, dedicated Parelli students who have been certified to teach the Parelli Program out in the field. 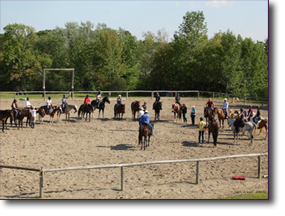 Instructors can give one-on-one horsemanship lessons, lead group lessons and clinics, and more. As an Instructor gains experience and skill, their ‘star rating’ increases, which allows them to teach more Savvy’s at higher levels. Instructors are an excellent resource for students all over the world. They offer support, advice, education, and guidance for anyone looking to develop their own horsemanship. My participation in the Parelli program and working with Todd, has given me more confidence to try new things with my horse. The hands on training and detailed instruction have provided me with the tools I need to succeed. With Maureen, you not only get her one on one professional opinion and advice you get the compassion and understanding of an amazing person. I couldn’t have found a more supportive person or friend to help us through our Parelli journey. 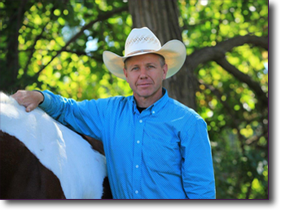 Todd and Maureen Owens open up their facility, The Horseman’s Word Ranch, to provide a very supportive learning environment. It is a place for Parelli students to bring their horses to learn and grow.